We provide storage for boats, trailers, cars, and RVs, and truck rental is offered onsite. Give us a call today to learn more. Elyria South Storage is conveniently located near Lorain, Amherst, and Oberlin. Our friendly storage professionals are excited to help you find the storage unit you need! If you reside in northern Ohio and need self storage, visit Elyria South Storage for the best rates in town. Meet with our friendly property manager Monday through Saturday from 9:00 a.m. to 5:00 p.m. and purchase boxes and other moving supplies during your visit. Unlike most storage facilities in the area, our customers are granted 24-hour keypad access, so you can retrieve your items when you need them. We provide storage service to a variety of renters including commercial customers, students, and homeowners. We offer a wide selection of storage units including inside climate-controlled spaces and outdoor units with roll-up doors and drive-up access. Whatever you’re looking to store, we have the space you need! Storage is also available for boats, trailers, cars, and RVs, and truck rental is offered onsite. Give us a call today to learn more. 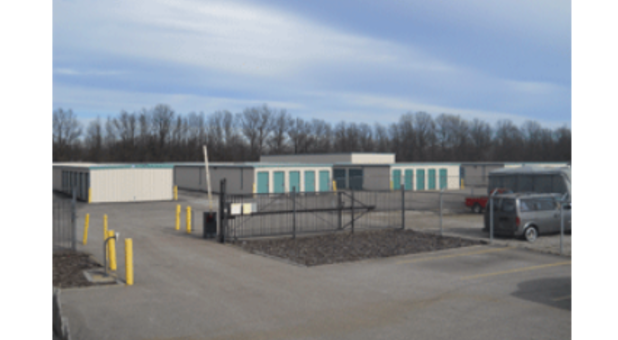 Elyria South Storage is conveniently located near Lorain, Amherst, and Oberlin. Our friendly storage professionals are excited to help you find the storage unit you need! I am very satisfied with Elyria South Storage!!! The staff are very helpful and professional. The prices are perfect for anyone that lives on a budget. We are gad to hear that our prices can fit within your budget. We strive to provide the best self storage experience at the right price. 5 Star facility for sure hands down, very clean, great prices, 24 hour access was a must so that made me very happy, knowledgeable staff, I worked with Amy ask for her, she is the best! We so glad that you have had a fantastic experience storing with us. Thank you for being a valued customer! Amy is very kind and helpful she’s very knowledgeable about her job. The prices are very reasonable and the site is very clean. Thank you for taking the time to review our facility. We are thrilled that you would recommend us to your friends and family. Thank you for your business.